The slum of Kawangware is the second largest slum in Kenya, located in Greater Nairobi, approximately 15 km west of the Nairobi City Center. In the last Kenyan census, completed in 2009, there were a reported 133,286 people living in the slum. An estimated 65% of the population are children and approximately 30,000 children in the area are homeless. Most of the people in the community do not have the funds to leave the community, or to advance their education or their children’s education. With most individuals in the community making less than $1 USD a day and rent starting around $30 USD a month, there is not near enough money to meet the price of approximately $40 USD a month per child to attend school. 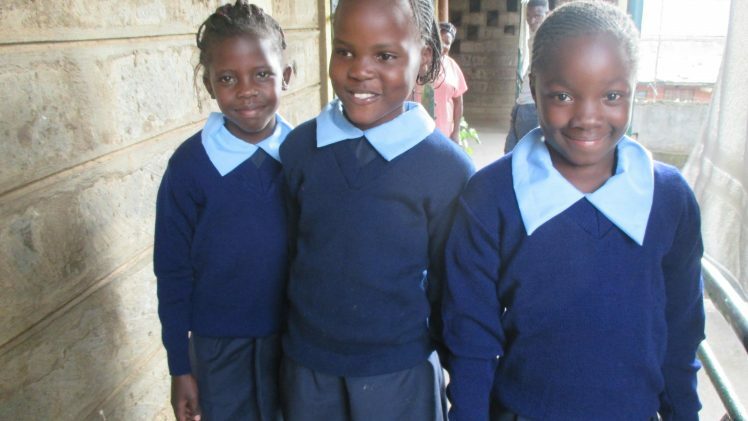 The Kawangware Scholarship program’s primary aim is to advance education in the area and provide funding and scholarships that will enable children to attend school. Each scholarship includes school fees, school supplies, transportation, uniforms, and meals while at school. In addition, students have access to the services at the Little Ray of Hope Learning Center, including a preventative health project (i.e. mosquito nets), food hampers for the families when there are school breaks, and a study place on weekends.